The Equinox signalled a new chapter in the post-manufacturing Australian car market. Holden is now sourcing GM product from their global catalogue and tuning it to suit both Australia’s harsh road environment as well as the continually segmenting market. 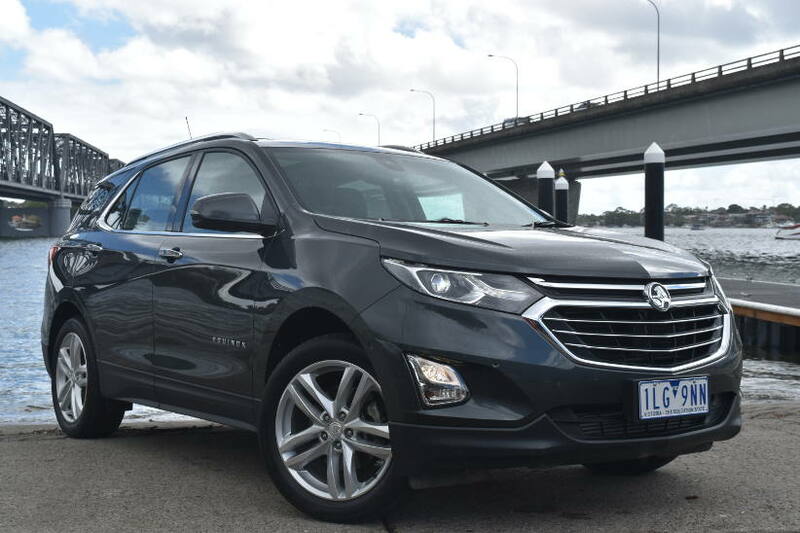 This was a very important vehicle for Holden, a long overdue replacement to the Captiva, Equinox came with big expectations on it as a mid-sized five seater SUV; and it faces stiff competition from tried and true performers like the Mazda CX-5 and Honda CR-V. Is it up to the task? Well, after driving it, I’d say yes. The Equinox comes in five model variants, with a choice of three engines, two drivetrains and three transmissions. The models are LS, LS+, LT, LTZ and LTZ-V. LS and LS+ get a 127kW 275 Nm 1.5lt turbo FWD with either six speed manual or auto (LS+ auto only), LT and LTZ get the 188kW 353Nm 2.0lt turbo FWD with nine speed auto as does the LTZ-V but it is an AWD (AWD optional on LTZ). And 1.6lt turbo diesel with six speed auto came as an optional on all models from the LS+ up. It is an attractively styled vehicle, with nice lines and is well proportioned. It looks better than a CR-V, but I think the CX-5 just shades it in the style stakes, but all of that is personal choice. Equinox has some pretty impressive features to offer across the entire range, such as Apple Car Play/Android Auto, stop/start engine, large touch screen (7” on LS and LS+, 8” on LT, LTZ and LTZ-V), rear view camera, hill start and rear park assist. Additional safety features are standard from the LS+ up, autonomous emergency braking, forward collision alert, lane keeping assist and departure warning, blind spot warning and rear cross traffic alert. Space abounds in the Equinox cabin, with plenty of head and leg room for all passengers. The boot has a cavernous capacity of 846 litres rear seats folded up and 1798 litres folded down. There are lots of places to put your things in and a enormous centre console bin, plus even underfloor storage in the boot, as there is only a temporary spare provided. I had the pleasure of driving the LTZ-V. It is very comfortable to drive, yet for a SUV quite well balanced and responsive. The class leading 188kW 2.0lt turbo will get you moving in a hurry when needed and the nine speed auto is super smooth (no CVT needed here), sending the power to the road via AWD and its 19” alloy wheels with 235/50R19 Hankook tyres. The 2.0lt turbo certainly does the business and it has the smoothest stop/start function for when stopped at the traffic lights that I have experienced in long time. It is so smooth on the restart that you almost don’t notice it. 188kW is a lot of power, but it requires premium unleaded petrol and while Holden list the combined cycle fuel economy as 8.4L/100km with CO2 emissions at 196g/km, the cars info displays showed 10.2L/100km. At nearly $50K drive away, the LTZ-V needs a lot of kit to justify the coin, and lots of extra kit it has. Heated front and rear leather seats (ventilated in the front too), one touch fold flat rear seats (once you remove centre headrest), hands free power tailgate, panoramic sunroof, remote engine start, 4 USB connections (two front and two rear), 12V outlets in front and rear seats and in cargo area, wireless phone charging, Bose sound system, a 230V power outlet and heated leather steering wheel. The driver’s seat also vibrates to warn the driver if one of the safety alerts is triggered. Surprisingly though, with all these features it misses out on adaptive/radar cruise control. Three year or 100K warranty, with roadside assist and ‘Know your cost’ service options are offered for the Equinox. Equinox is Holden’s contender in the mid-sized SUV segment, certainly superior to the Captiva it replaces and it will take the fight to the other players in the market if buyers will give it a chance. So if you are about to update/take out a new novated lease and are looking for a family sized SUV, make sure you check out at the Equinox, it might just be what you are looking for.